Two at the moment and willing to ad third one. 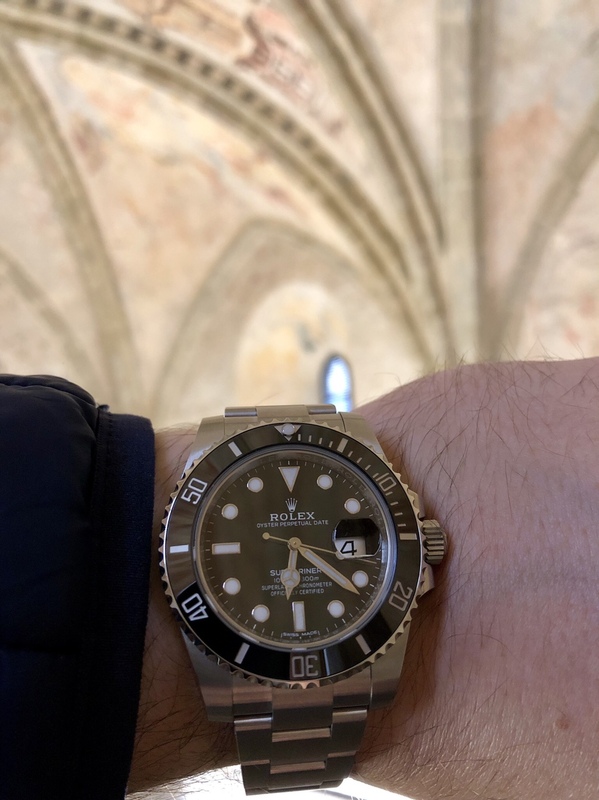 Gifted my BLNR to my father so now down to 6. Three and looking to add another soon. Submariner C No Date-1 & Done for now! but always learning & educating myself on different models. Next one will be a Datejust 36 oyster bracelet roman black dial w/fluted bezel. Two; a linen dial 1601 & a Root Beer 16753. 3. SS Black Sub, TT Blue Sub, 126660 DSSD arriving tomorrow. I own Milgauss Green, bought for my partner. Then bit later I just got a Rainbow Daytona Rose yesterday. Starting to fall in love with watches. Laura from Italy. 16610 + 16220. 1977, 1803, lemon Mat dial Day-date, stunning watch in every angle dial, case, bracelet etc. 1500, 1964, tropical gilt dial date, stunning dial. no Pics- No Proof!LOL! I just want to see that collection!! PICS!!! So many wonderful collections here! Cheers to all. Proud owner of one SubC date. 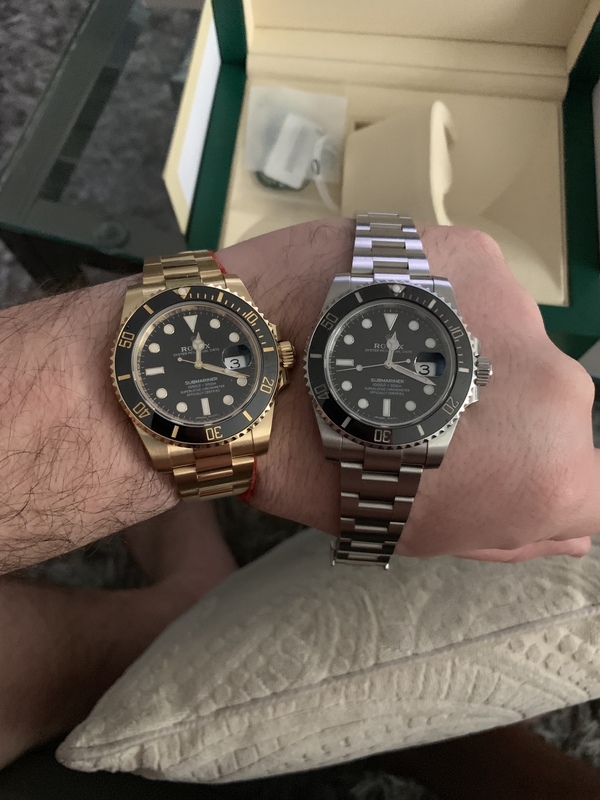 Have had the Sub for 5 years and the 14K Gold Date-Just for 20 years+. Don't see too many 14k Gold Date-just.